"dr kuncham is very professional and has a delicate touch." "I wouldn't want any other dr."
"I love dr Kuncham. I have been going to her for almost 15 years and wouldn't consider any other OBGYN." "I was thrilled with the call I received. Will return annually or as needed." "I would highly recommend Dr. Sudha Kuncham." "Dr. Kuncham has been my doctor for over 20 years and is wonderful and supportive. I have recommended her to friends and family." "Dr. Kuncham is a lovely lady & professional dr. She is quite competent & thorough." "Dr. Kuncham is a wonderful, caring & knowledgeable doctor. I gave her the highest recommendation & would recommend her." "I love Dr Kuncham, she delivered both my children. I've been seeing her for 25 years. I would never go anywhere else"
"I wasn't there for any issues - just to establish a new provider and Rx refill." "I often felt rushed with other doctors but during this experience I did not feel that once. All my questions and concerns were listened to and answered"
"I have been a patient of Dr. Kuncham for more than 30 years her care has always been exceptional." "Dr Kuncham has been my doctor for 4 years now and I couldn't say any more wonderful things about her. She listens to my insane concerns and has thorough explanations. she is very nice in and makes me feel comfortable every time"
"Dr. Kuncham is a wonderful caring doctor. I would definitely recommend her - #9. Excellent. " "Always very positive visit at this office with staff and doctor." "Dr. Kuncham seems very knowledgeable and very thorough." "Dr. Kuncham is a very kind & caring physician." "Very understanding & down to earth." "she delivered both my children I've been seeing her since 1994 I would never go any where else"
"Dr. Kuncham is a very kind, caring and good doctor. Your lucky to have her." "Have the utmost respect and regard for Dr. Kuncham. She is the reason I attend this facility." "my two daughters started to go to her." "Dr. Kuncham is an excellent doctor whom I greatly trust & respect." 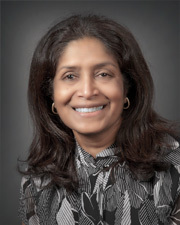 "There is no finer OB/GYN physician than Dr. Sudha Kuncham. Her knowledge, care and concern, and treatment are consistently excellent." "Been seeing this doctor for 28 years." "I have recommended many people to this doctor." "I had a very minor issue that Dr. Kuncham didn't trivialize and I appreciated that." "I would recommend that nobody see Dr. Kuncham. She was rude, judgmental, and uncaring. She made my experience worse off."